As full-time physicians, Jeremy Theal and Joyce Lee have had to learn how to balance their packed schedules. Jeremy is a gastroenterologist and the chief medical information officer at North York General Hospital. Joyce is the founder and physician lead of the Geriatrics Clinic for Parkinson’s also at North York General. Now, the two can add being entrepreneurs to their long lists of accomplishments. Together, Jeremy and Joyce are the co-founders of Agent+, an app that allows Ontario doctors who bill through the Ontario Health Insurance Plan to conduct their billing through their phones. The company was founded in 2015 when Jeremy and Joyce realized that there was no system on the market that enabled mobile doctors to do their billings. Agent+ allows doctors to create and send claims quickly and securely, without any paperwork. Before Agent+, doctors had to hold onto various slips of paper throughout their day and make sure that they were sent to the right place. This system posed a privacy risk because patient information could potentially be lost. On top of that, billing agents could become expensive. In other instances, doctors would have to manually enter patient information into their computers. Many doctors find themselves in different settings throughout their days, going from seeing patients in their offices to visiting the emergency room. This makes it difficult and time-consuming to keep track of all of their claims. Agent+ allows doctors to scan patient information and to manage and keep track of all of their claims. The app also helps to ensure that claims are accurate through its built-in logic system. Jeremy had been thinking about this idea for several years, but he lacked the resources to make it happen. It wasn’t until he met Hamid Arabzadeh, the co-founder and executive chairman of Identos, a company that developed a solution for small companies to easily integrate military-grade security into smartphone apps, that it all came together. “That’s a really unique thing because, typically, building security into an app is a lot of work and is also expensive, so it’s sort of a stumbling block for a lot of healthcare mobile applications,” Jeremy says. For Jeremy, becoming an entrepreneur was a natural progression stemming from his time at university. As an undergraduate student, he had started his own company doing computer consulting. This early work in technology continued when he went into medicine. Still, it’s a challenge for both Jeremy and Joyce as they juggle being doctors and entrepreneurs while also managing their home life. Joyce believes it’s a matter of prioritizing what’s important. “We’re at the point of our careers where we’re sort of thinking very long and hard about what our priorities are in life, so it’s about prioritizing family, relationships and friendships, and doing creative things,” she says. “Sleep less, play less,” she adds with a laugh. Their own app is what drives them to keep going. Since incorporating Agent+ into their own practices, they’ve eliminated paperwork, saving both money and time. “If we can free up that eight hours for each physician per month, that’s valuable time,” Jeremy says. Joyce and Jeremy believe that digitizing healthcare is necessary to make the system more efficient and safe for patients, but it has to be clinically driven and done the right way. Since launching the app, they’ve had interest from both younger and older doctors. “The younger physicians are already so attached to their phones, so it’s just a natural extension of their lives,” Joyce says. 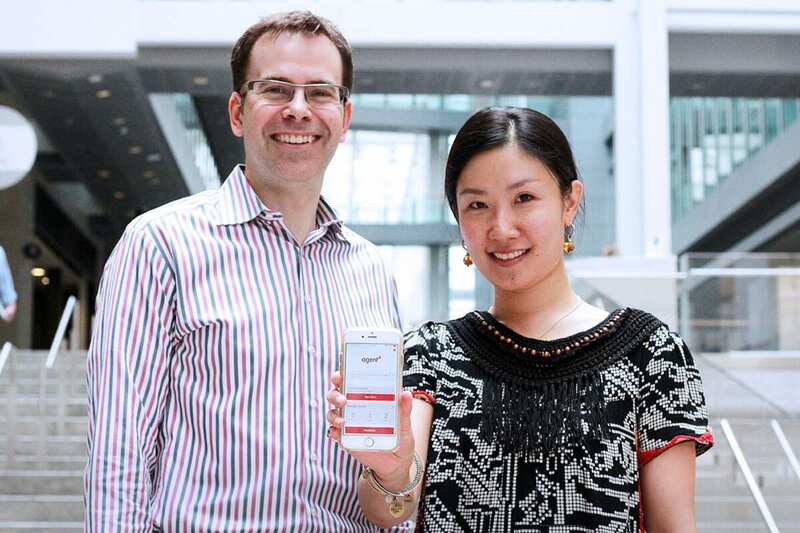 Currently, the app is only available in Ontario, but Joyce and Jeremy hope to expand its reach to multiple provinces in the next few years to help doctors across Canada. One of the challenges they’ve faced is getting the attention of busy doctors. They rely on word of mouth and referrals from existing customers, but most importantly they simply try to help people to understand how the app could help make their medical practices more efficient.